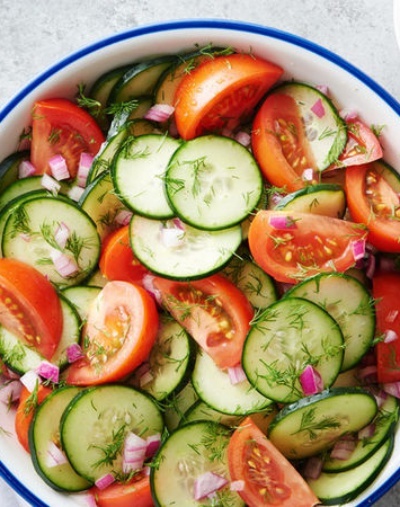 This Dilled Cucumber and Tomato Salad is the best cucumber salad I have ever eaten. Tomatoes make it super tasty! Keep a pyrex bowl of it sitting in the fridge for a low calorie healthy snack.